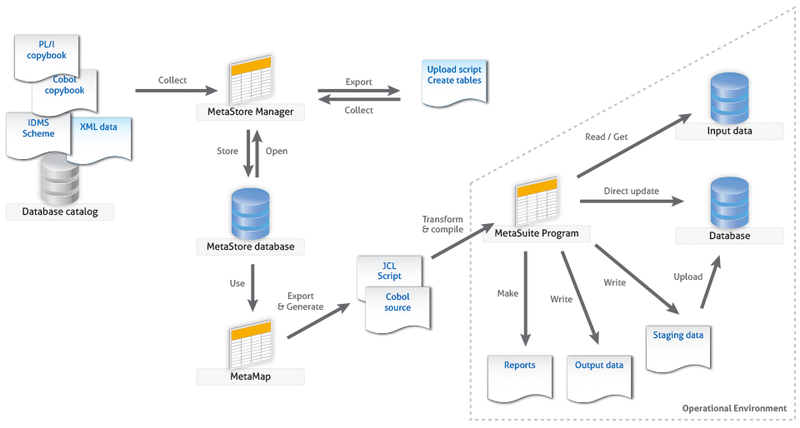 Metasuite is the most powerful software solution that enables organizations to gain access to the information that is hidden in the large amounts of operational data that reside in their business applications. A key element in today’s decision making, information about a business’ customers, suppliers and competitors needs to be available to the right people in the right format at the right moment. Current solutions that access, move, integrate and forward the huge volumes of transaction data that decision support requires, are often limited in their capabilities. Many business users are finding these solutions to be inadequate either in content, accessibility, usability, and performance or in their ability to bring together data from many disparate systems. 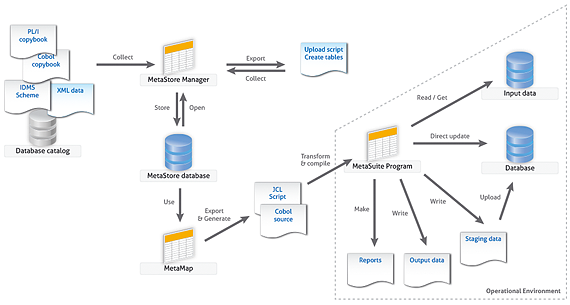 Based on standard technologies, Metasuite was specifically designed to perform even the largest and most complex data retrieval, data conversion, and data integration jobs. Easy access to information about the data stored in a warehouse, both for end-users and database professionals. With Metasuite any data integration routine can be rapidly deployed to supply a quick response to ever changing information needs. Next to offering a low cost of ownership, MetaSuite also frees overburdened mainframes from analysis tasks, and helps to promote the use of third party analysis and reporting tools.